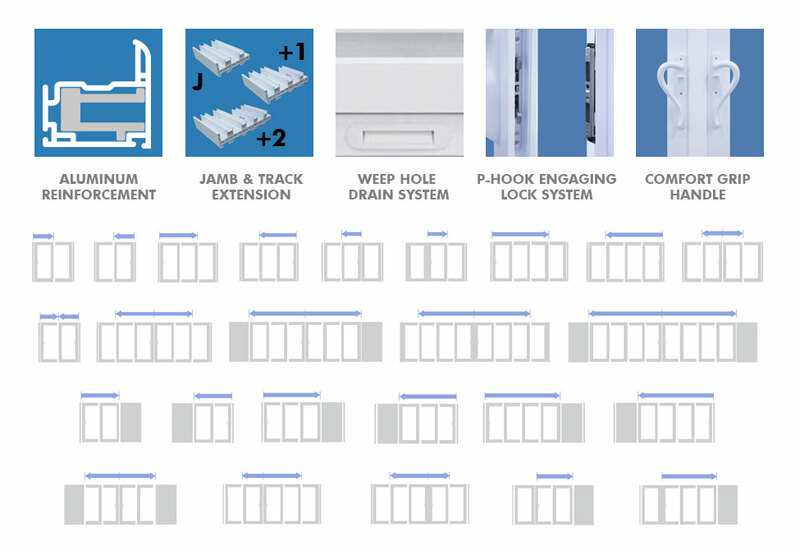 WinForce® Windows are made in two different classifications, Impact and Standard. WinForce® is truly to be reckoned with when it comes to safety against dangerously inclement weather and, as always, your general security. 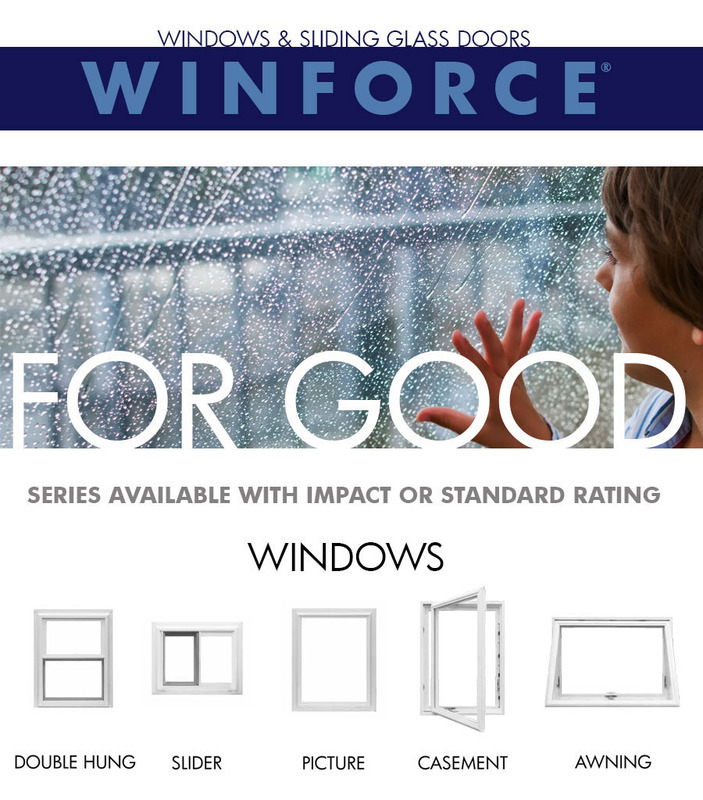 Calling upon leading technologies to provide safe haven against hurricanes and other severe weather events, WinForce® windows inlcude the most common types, such as Double Hung, Slider, Picture, Casement and Awning. 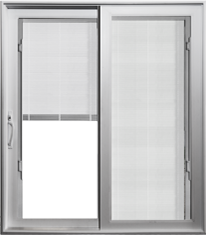 WinForce® Multi-Panel Sliding Glass Doors are made in two different classifications, Impact and Standard. 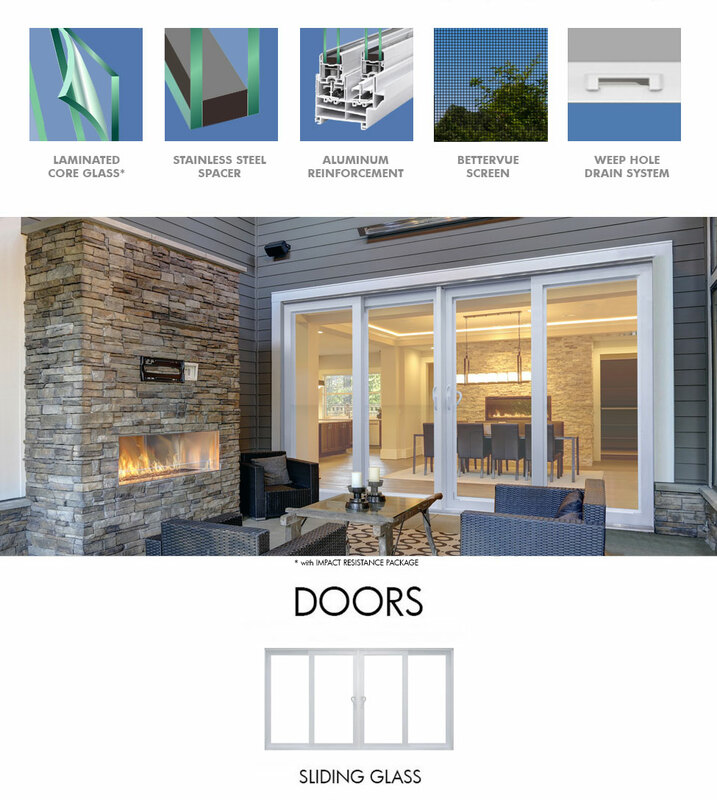 Employing several different possible configurations (below) to choose from to best fit your home’s space and needs, your WinForce® Sliding Glass Door can transform your room and outside area into a single open space. When it’s time to close up again you can have the greatest confidence and peace of mind that the outside elements will remain there until the next time you choose to blur the lines between in and outside. 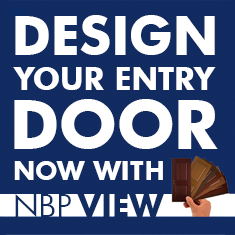 You can feel the very strength and durability of these units, while still very easily operating your sliding glass along their smooth tracks. Handles and hardware are designed for your comfort and ease of use, with curves and turns that feel just right in your hand.